The decision taken in 1992 by the Ministry of National Defence to set up the National Defence College – a western idea – enjoyed from the very beginning a wide appreciation. Using as a source of inspiration the similar institutions in the NATO –member countries, the Romanian NDC establishment intended to respond to a double need. 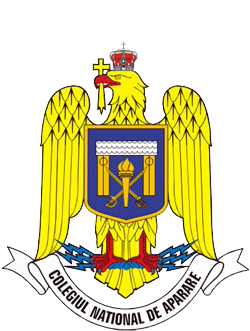 On one hand, after 1989 the Ministry of National Defence wanted a correct understanding by Romanian public opinion of the features specific to security and national defence problems. On the other hand, the civil society and the new political class needed to be educated in order to get access to a domain till then forbidden for study, debate and understanding. The establishment of the National Defence College was perceived by the civil society as a major contribution to the integration of the military institution into the social and political system of the state. Up to now, 3890 students have graduated the courses of the National Defence College, 55 of which are foreign students from NATO and EU member states, and the proportion between the military and civil course members has changed each year in the benefit of the latter. Art. 1. - Incepind cu anul 1992 se organizeaza si functioneaza, in cadrul Academiei de Inalte Studii Militare, Colegiul National de Aparare, cu durata de 6 luni, subordonat ministrului apararii nationale. Art. 2. - La cursurile Colegiului National de Aparare se pot inscrie personalitati civile si militare, absolventi ai institutelor de invatamint superior civil sau militar, care ocupa sau pot ocupa, in perspectiva, functii de conducere si decizie in domeniile politicii de securitate si aparare nationala. Art. 3. - Studiile in cadrul Colegiului National de Aparare sint echivalente cursurilor postuniversitare din invatamintul civil si postacademice din invatamintul militar. Cursul se incheie prin sustinerea unei lucrari personale, iar absolventilor li se acorda diplome. Art. 4. - Cheltuielile de pregatire vor fi suportate din bugetul Ministerului Apararii Nationale.